When veteran running back Willis McGahee was released last week, the Denver Broncos made a clear statement. They like their young running backs. 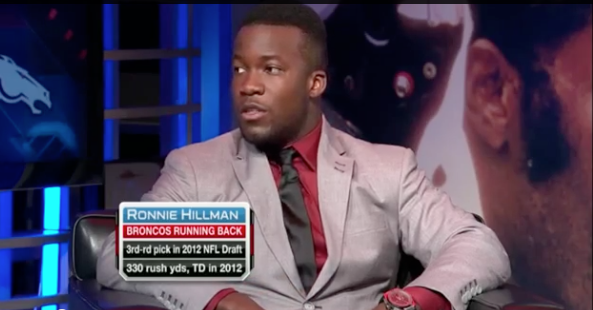 ‘Aztec For Life’ Ronnie Hillman is one of those young backs, and he is expected to see an increased role in 2013. The second-year pro Hillman and rookie Montee Ball have seen the most action in team activities so far this offseason, and both are fiercely competing for the starting job. Hillman appeared on NFL Total Access yesterday and talked about the competition for the starting job, the pressure of playing with future Hall of Famer Peyton Manning, and his goals of having a career similar to those of San Diego legends Marshall Faulk and LaDainian Tomlinson. The 2013 college football season is steadily approaching. In just 74 days, San Diego State kicks off the 2013 season at home against Eastern Illinois. The game is set for 5 p.m. on Aug. 31 at Aztec Warrior Stadium (also known as Qualcomm Stadium). 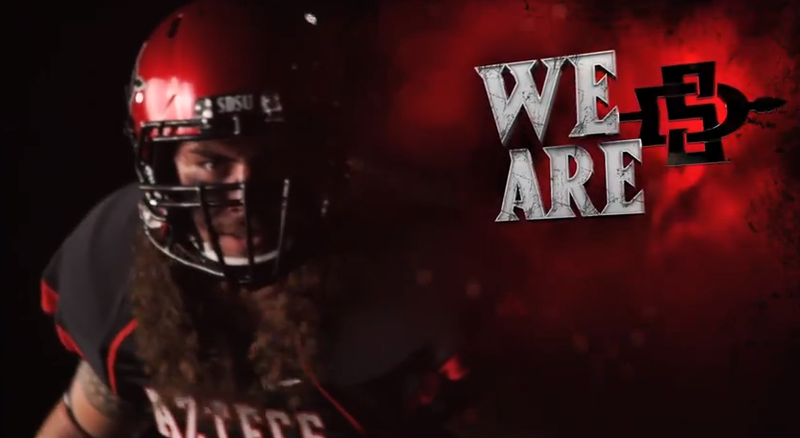 Check out this promotional video from GoAztecs.com with head coach Rocky Long, running back Adam Muema and linebacker Jake Fely. Also, if you haven’t already, get your season tickets! San Diego State celebrates after beating New Mexico to win the 2013 Mountain West Tournament. 9 was impressive. 10 was amazing. 11 was borderline absurd. 12 conference championships is just not fair. San Diego State continued its winning ways on Sunday as the baseball team beat No. 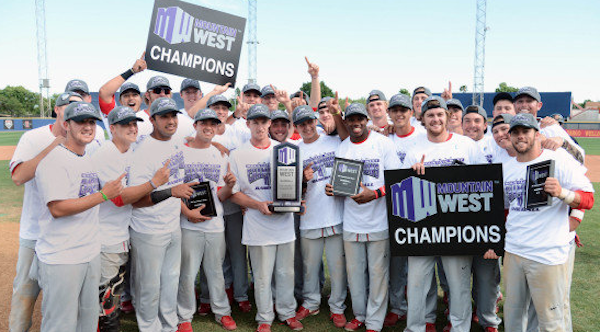 13 New Mexico to claim the school’s 12th conference championship in the 2012-13 school year. The Aztecs beat the Lobos 9-4 to win the 2013 Mountain West Tournament championship. SDSU was led by freshmen standout Ty France, who was named the conference tournament MVP for his stellar play. In six tournament games, France went 16-21 with two home runs, eight RBI and nine runs. His 16 hits were a conference tournament record. The Aztecs now advance to the NCAA Regional in Los Angles where they will face No. 10 UCLA on Friday, May 31.